Click on the treatments below to find out more. Find out more about Chris Bailey. → when a ‘keyhole’ device is used to diagnose and treat problems in the knee joints. What is an Arthroscopy and why might I need one? An arthroscope (derived from the Greek, literally: joint observation) is a surgical device about the length and width of a pencil. It can be fitted with a tiny camera that feeds back to a video screen. This allows us to see what’s going on inside the knee, so that we can diagnose any issues and, if necessary, operate through the arthroscope at the same time. There are a range of reasons why you might need an arthroscopy. Typically patients will come to us with pain in their knee; the joint could also be locking, ‘catching’, or giving way. The likely causes of that pain will vary, but the most common condition is a tear of the meniscus fibrocartilage. Meniscal tears are often caused by the kind of twisting that happens in sport, and are generally accompanied by a sharp, localised pain on the inner or outer side of the knee. 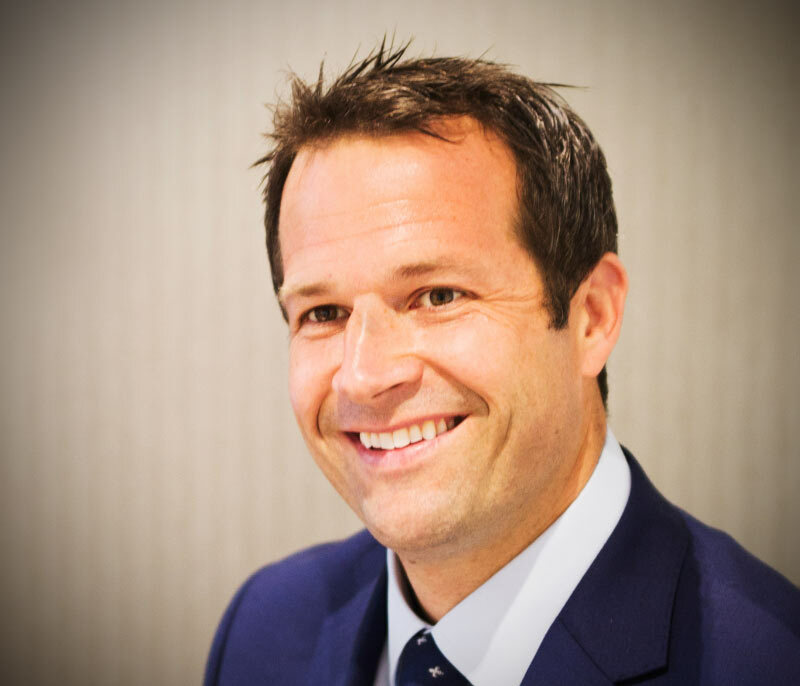 We also commonly use an arthroscopy to remove ‘loose bodies’ – tiny fragments of bone or cartilage that break free and cause problems, such as locking of the knee. They can also be used to treat arthritis, inflammation of the joint lining (synovitis) and damage to the lining cartilage. After making a small incision in the skin, the arthroscope is inserted into the knee to get a precise view of the problem. Images are sent back to a video screen and surgical instruments can be used via a separate portal to treat the affected area. The type of surgery involved naturally varies depending on the condition. With arthritis, for example, we might smooth back the worn lining of cartilage. For a meniscal tear, we might remove the torn fragment, or repair it with sutures. Arthroscopy procedures are most commonly carried out under general anaesthetic, although they could involve a local or spinal anaesthetic. It is usually a day procedure, meaning that you should be able to return home the same day as your operation. Recovery time for knee surgery depends greatly on a number of factors, from the type and complexity of the operation to your age and general level of fitness. One of the great advantages to arthroscopic procedures, however, is that they are less invasive than traditional ‘open’ surgery. In practical terms, this means that you are likely to experience less post-operative pain, and a swifter healing process. We would generally expect to remove dressings within two weeks. Light physical activity should be possible within the weeks that follow. A return to full sporting activities, particularly high-impact contact sports, may take considerably longer. Whatever the situation, we will be able to advise you of the likely recovery times at your consultation. How can I help my recovery? You will need to keep your leg elevated for the first day or so after an arthroscopy. Ice packs can also help to reduce swelling. Thereafter, you will begin to rebuild strength in your knee with a carefully scheduled programme of exercises. We can supply you with a regimen to do just that, and with referrals for a physiotherapy programme too. → when tissue from a tendon is used to replace a damaged ligament in the knee. Why might I need this procedure? ACL stands for Anterior Cruciate Ligament. This is one of the knee’s four key ligaments. It connects the thigh bone (femur) to the shinbone (tibia). It also prevents the knee from bending outwards when you pivot or plant a foot. Tears to the ACL are most commonly caused during sport – by a sudden twist, for example, or an awkward landing. There will usually be immediate pain and a feeling of instability in the knee, followed by significant swelling. While some ACL injuries will heal naturally over time, especially with physiotherapy or a careful rehabilitation plan, others – particularly ones involving a complete rupture of the ligament – may require surgery. The aim of ACL Reconstruction is to repair or replace the damaged ligament, since it isn’t possible to reconnect the tissue with surgical stitching. Instead we remove the torn section and replace it with a graft, usually from another part of your leg such as the hamstring or patellar tendon (an autograft), or from a donor (an allograft). The procedure may take place several weeks after the initial injury, to allow time for swelling to reduce. Once it is introduced to the knee, the graft is fixed in place with a suspension device and/or screws. The procedure is carried out arthroscopically under general anaesthetic, or with a spinal anaesthetic. As with all kinds of surgery, this varies from patient to patient. Post-operatively, you will need to use crutches, and sometimes a knee brace, but typically we would expect you to be able to put your full weight on the knee immediately after the procedure. We view a recovery in terms of stages; most patients will regain full knee movement within six to eight weeks, while all swelling and pain should have disappeared within six to nine months. Office workers generally find that they can be back at work within a fortnight. A full return to sport obviously takes longer, but we judge this on a case-by-case basis. In the early stage of rehabilitation, we recommend keeping the leg elevated where possible and applying ice packs several times a day to reduce swelling. Long-term recovery, however, is vastly improved by taking up a rehabilitation programme and adhering to it. We shall arrange a tailor-made programme that will get you back to full health as soon as possible. The knee cap or ‘patella’ is a common cause of pain. In younger, active people we see problems with maltracking of the patella. This causes the kneecap to lose its normal central alignment and tilt to one side and overload one part of the cartilage surface. This can cause pain and wear of the cartilage. This may be addressed with physiotherapy, braces and taping but sometimes requires surgery. Arthroscopic procedures may be used to smooth any roughened cartilage and release a ligament on the outer side of the patella (a lateral release) to improve the tracking of the kneecap. Some patients experience recurrent dislocation of the patella and, if conservative treatments fail, this may be addressed by a medial patellofemoral ligment reconstruction using a synthetic polyethylene ligament the ligament on the inner side of the kneecap is reinforced to stop the kneecap dislocating laterally. This procedure is performed under a general anaesthetic with an incision on the inner side of the kneecap. Following surgery we aim to mobilise the knee as soon as possible to avoid muscle wasting and stiffness. Patients may use crutches for one to two weeks and the wound has healed after two weeks. It is usually six weeks before patients return to light recreational activities and three months before they return to heavy physical activities or contact or pivoting sports. Osteoarthritis can affect just the patellofemoral joint and leave the other compartments of the knee well preserved. For these patients a patellofemoral replacement may be beneficial. The kneecap and the femur are resurfaced using metal and plastic implants to reduce the pain experienced with bone on bone arthritis. → when a section of bone is cut to alter the alignment of the knee. Why might I need an osteotomy? The most common reason for performing an osteotomy is osteoarthritis. This is a painful condition that can affect various bones in the body, including the knees. It happens, essentially, through wear and tear. Over time the protective layer of cartilage around the knee joints begins to thin; the bones rub together, and this causes the joints to become increasingly swollen and painful. Osteotomies are generally performed when just one side of the knee has been damaged by arthritis, and having one can delay the need for a full knee replacement. The aim of an osteotomy is to shift weight away from the damaged part of the knee. We do this by cutting the upper shinbone (tibia) or lower thighbone (femur) on one side of the leg and opening the gap to change the alignment angle of the leg. This is known as an opening wedge osteotomy and bone graft may be introduced into the gap. This allows your natural bodyweight to move away from the arthritic area. During surgery, an incision is made at one side of the leg and the bone cut is planned out and performed using calibrated instruments. The two ends are then opened up and plated until the bones heal. The operation usually takes around an hour to 90 minutes, and can be performed under general anaesthetic, or with a spinal anaesthetic to numb the legs. It will be necessary to use crutches for several weeks after surgery, and we will often also fit a knee brace to aid recovery. As healing progresses, old activities can be gradually resumed. One advantage of an osteotomy is that patients can usually go back to even high-impact sports once the wounds have healed. This is one reason why we tend to recommend the procedure for younger people in particular. Full movement of the knee soon after surgery is an important part of the recovery process. We shall provide you with a full exercise plan, and arrange close follow-up with a qualified physiotherapist for one-to-one support. Ongoing exercise may help to slow the progression of osteoarthritis. Low-impact, aerobic sports such as rowing and cycling are particularly helpful. Maintaining a healthy bodyweight also helps to reduce pressure on the knee joints. → when a damaged or diseased knee is replaced with an artificial joint. Why might I need a knee joint replacement? There are a number of reasons why we might recommend joint replacement. Some of the most common reasons include osteoarthritis, post-traumatic arthritis (PTA) and rheumatoid arthritis, an autoimmune disease that causes inflammation of joints around the body. Other candidates for surgery include people with knee deformities, gout or injuries. In many cases, other treatments – such as steroid injections or osteotomies – will have been used before recourse to surgery. Typical patients tend to be over 60, but the procedure is used across the age spectrum. Knee joint replacement is now the most common form of joint replacement in surgery. Are there different kinds of knee joint replacements? Yes. 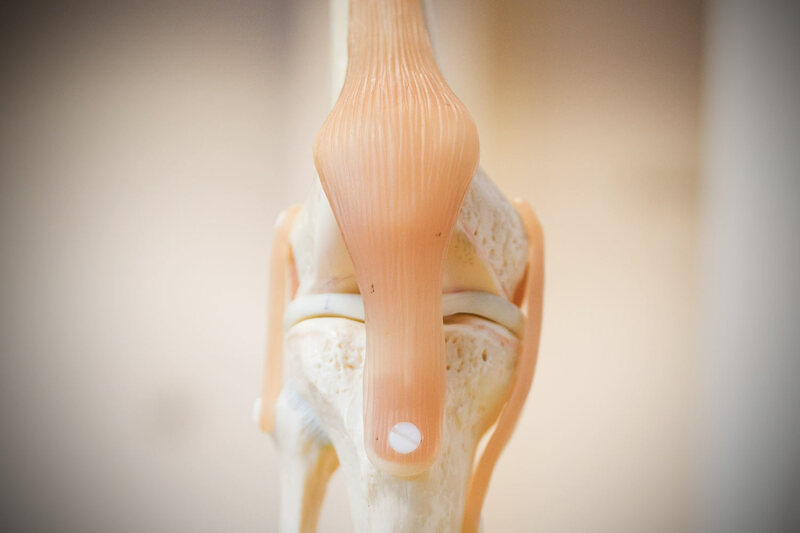 There are two principle kinds of replacement operations: Total Knee Replacement (TKR) and Partial Knee Replacement (PKR, but also known as UNI). PKR is generally used when the joint is only partially damaged, for instance by osteoarthritis on one side of the knee but not the other. Here we would usually rebuild the damaged area with new surfaces. TKR, as the name suggests, involves a complete replacement of the knee with a new, artificial joint. I’ve been told that I need revision surgery. What is that? Wear and tear affects every bone in our bodies, and artificial joints are no different. Although a normal knee replacement can last for more than 20 years, over time the materials begin to wear away or loosen. When this happens, we may recommend that you have the old implant replaced with a new one. How is Knee Joint Replacement performed? This depends on the type of operation we are performing. With a Total Knee Replacement, the damaged ends of the shinbone (tibia) and thighbone (femur) are cut away and the new ends are carefully shaped to fit the prosthesis, which is made from a combination of metal and plastic. Usually the rear of the kneecap is also replaced during the operation. TKR operations can take between one and three hours to perform. Partial Knee Replacements are usually less invasive than TKRs, removing only the damaged section of the knee in order to replace it with a partial artificial joint. Both operations can be performed under general anaesthetic, or with a spinal anaesthetic (which numbs the body from the waist down). Recovery times vary from patient to patient, but in general it takes around six weeks for most patients to resume walking and normal leisure activities; full recovery normally takes between three and 12 months. We would generally keep you in hospital for two to three days following your operation, and you will be given crutches or a frame for the first few weeks of your recovery. Rehabilitation is very important following a knee replacement. It’s important to maintain motion in the joint, and to slowly build up the supporting knee and leg muscles with a well devised exercise programme. Key movements to avoid in the early stages include twisting, kneeling and squatting. Greater flexibility returns as the joint heals over the coming weeks and months. We would also recommend a course of physiotherapy to aid the recovery process, and can refer you for expert treatment after your operation.